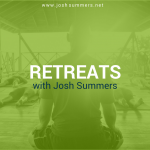 Join Josh Summers for a special Meditation and Yin Yoga Retreat in the heart of the Wicklow Mountains, Ireland. This training module is the “inner game” of teaching Yin Yoga. Learn a unique “Yin” approach to mindfulness practice, and how to practice and teach this approach in Yin Yoga. 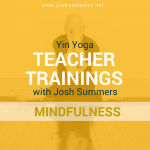 Josh’s popular Foundations Module for teaching and practicing Yin Yoga. Everything you need to know to teach and practice intelligently. 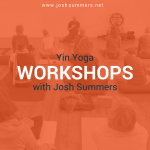 In this special weekend intensive of Yin Yoga and Insight Meditation, Josh will weave the Buddha’s teachings on Wise Intention through practices of Yin Yoga and seated meditation.